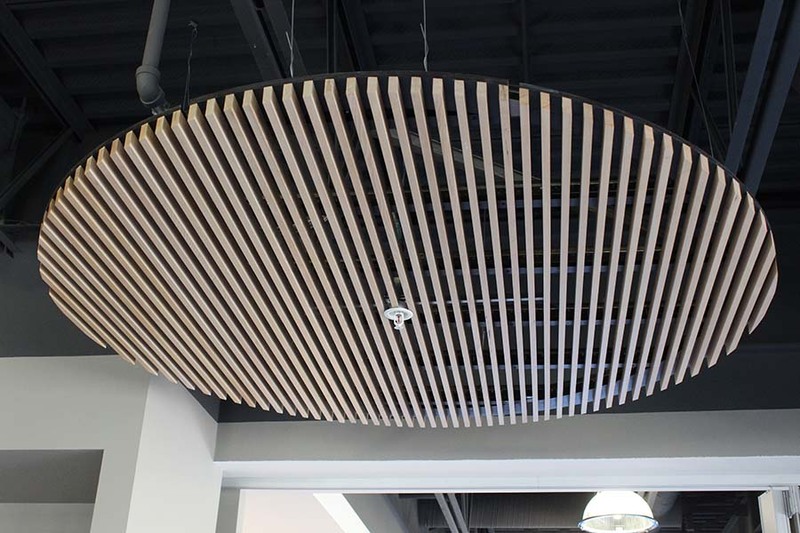 9Wood, Inc. strives to prove their commitment to cultivate the tension between a high-tech manufacturing company and the high-touch craftsmanship of a custom fabricator. 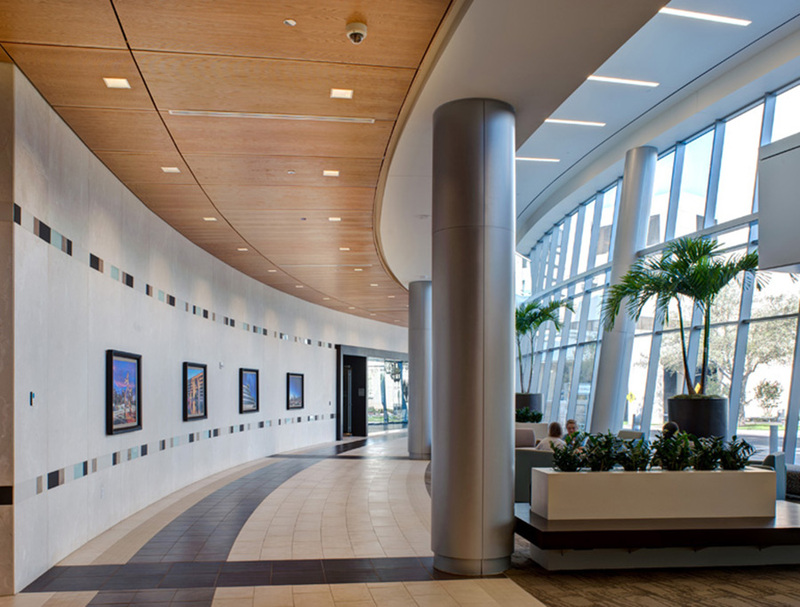 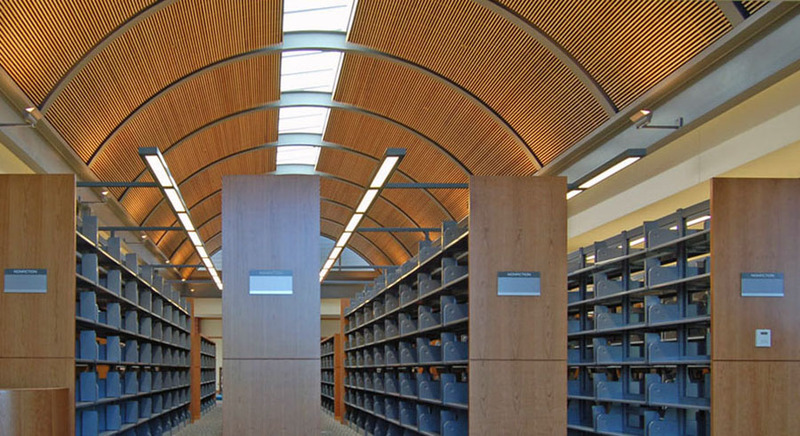 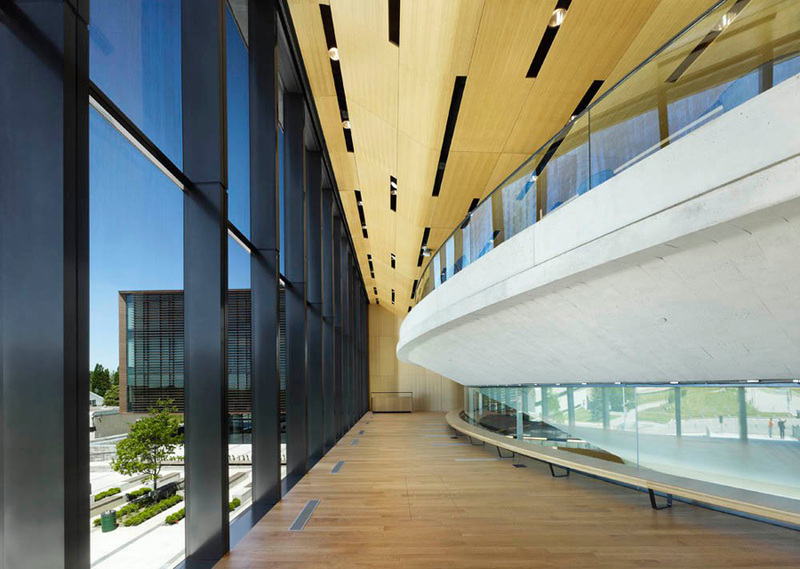 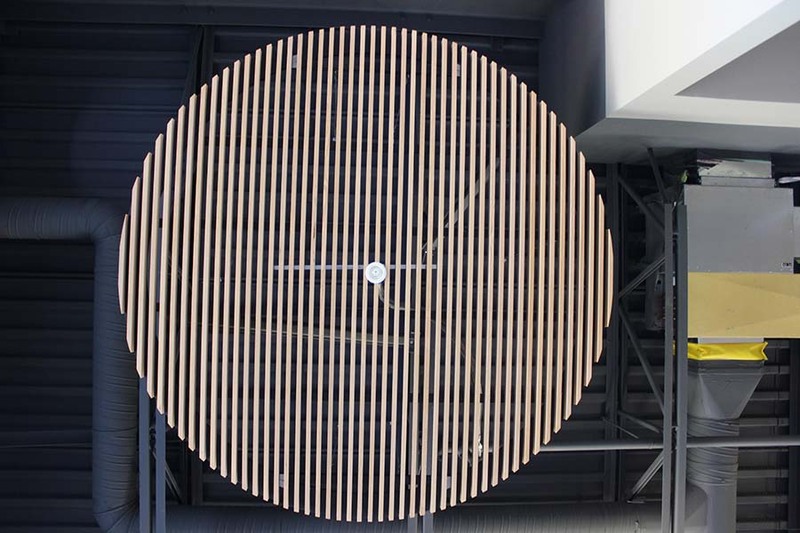 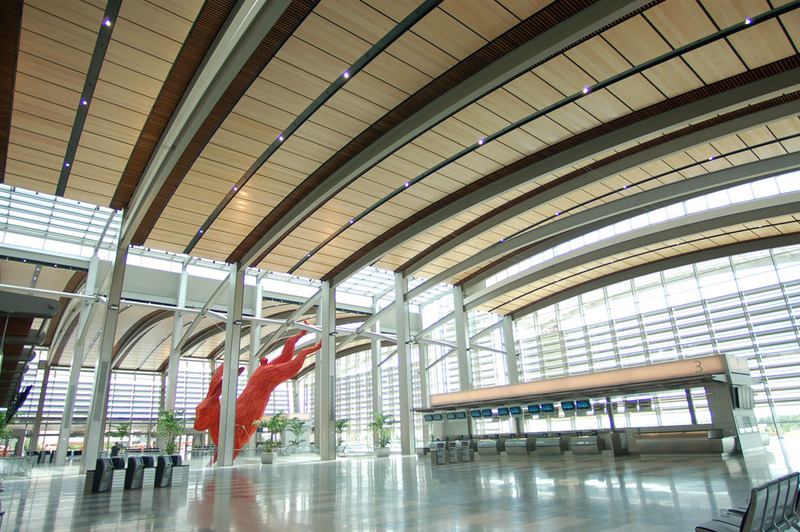 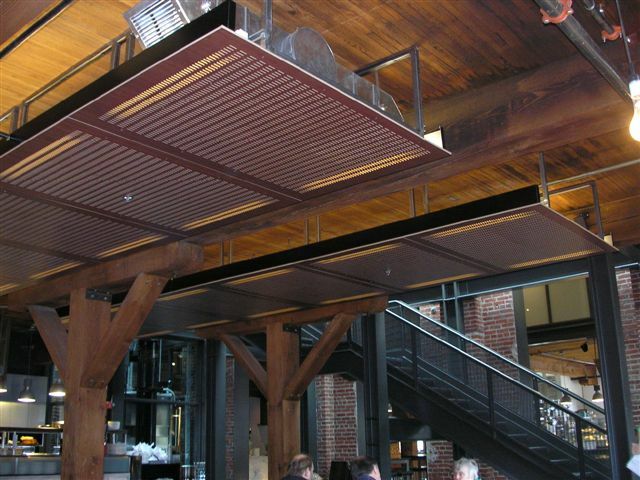 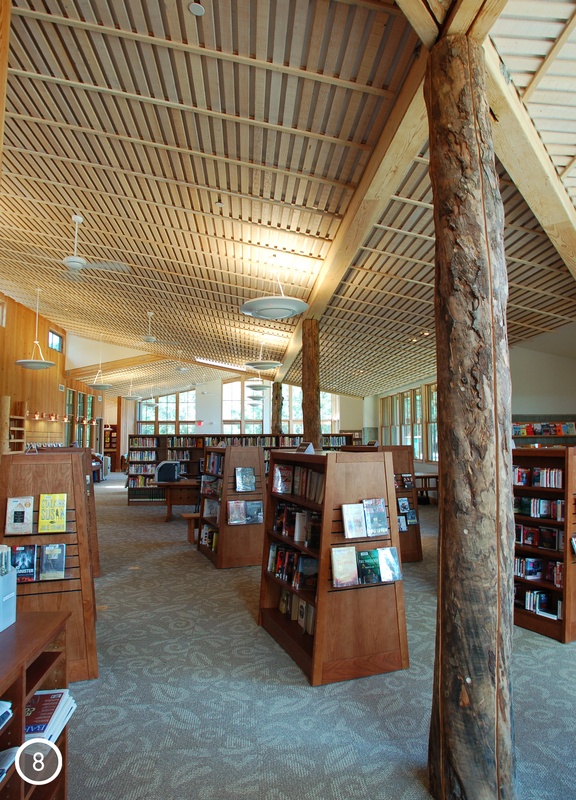 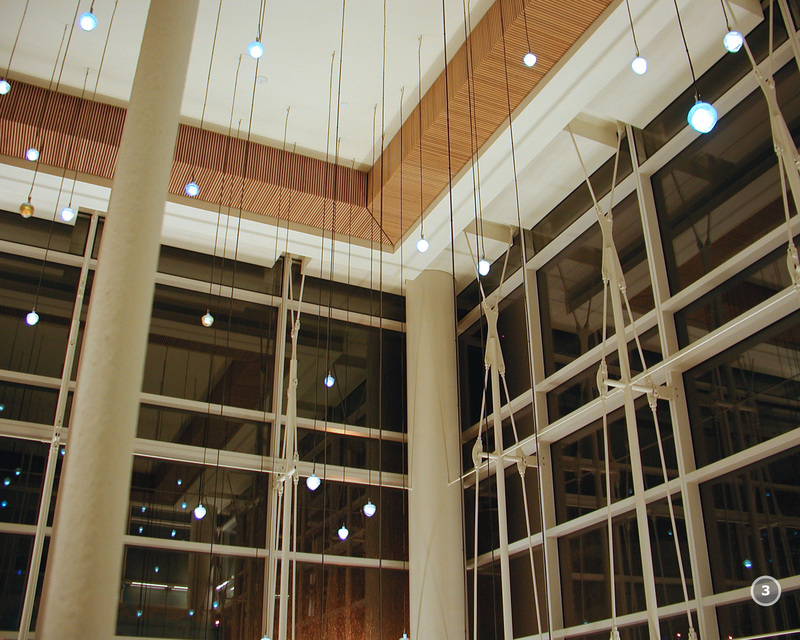 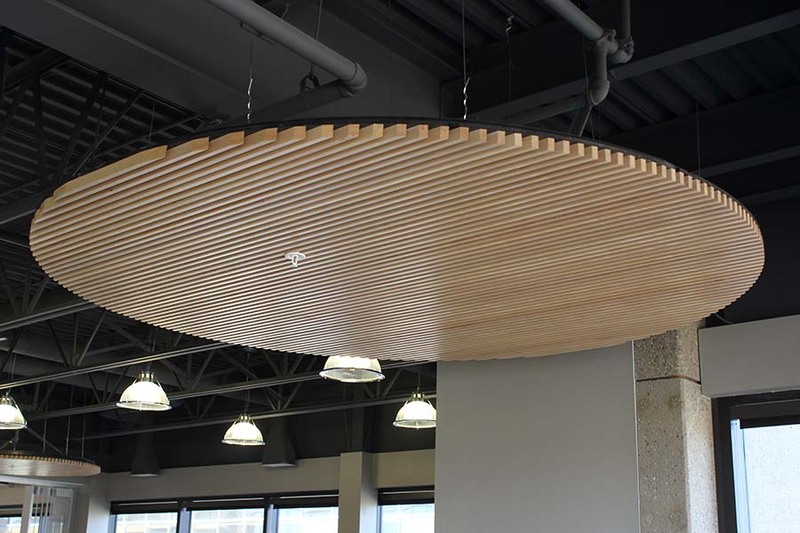 9Wood fabricates suspended wood ceilings; designs can be varied through a large choice of wood species and finishes, member sizes and spacing options. Wood products offered by 9Wood include grilles, linear ceilings, acoustic planks, waves and tiles. 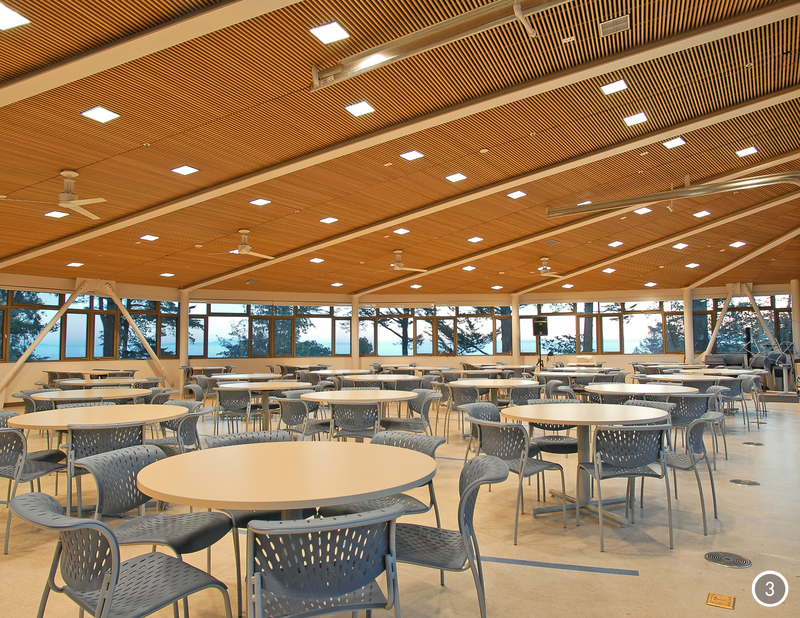 When requested, all components of 9Wood products are fabricated using Class A materials. 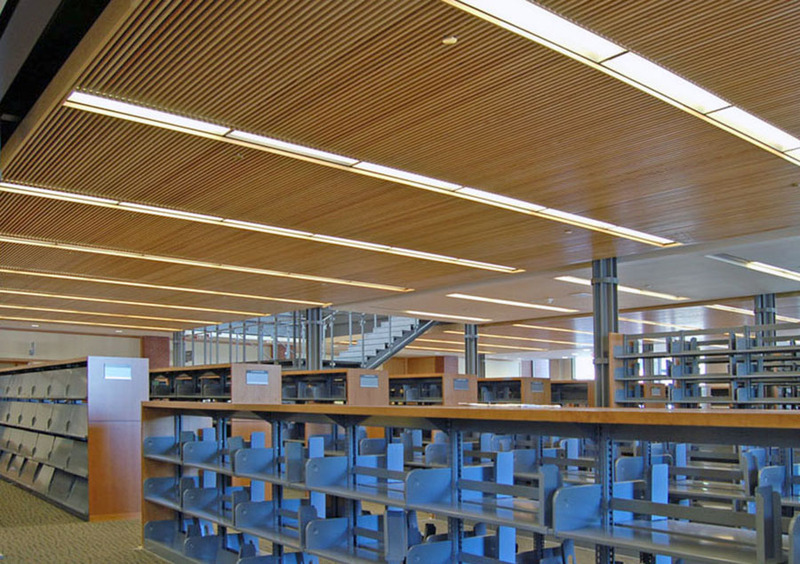 Individual wood members, panels, components and/or scrims are either naturally inert (metal/fiberglass) or treated with Class A fire retardant chemicals. 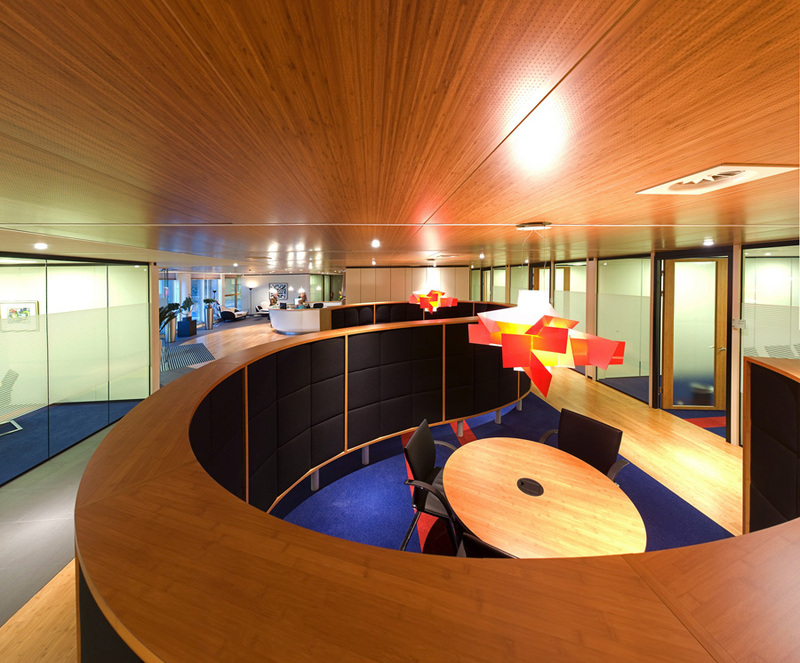 LAMBRI TOPLINE by Eomac is a plank style tongue and groove wood veneered acoustic panel, ideal for both ceilings and walls. 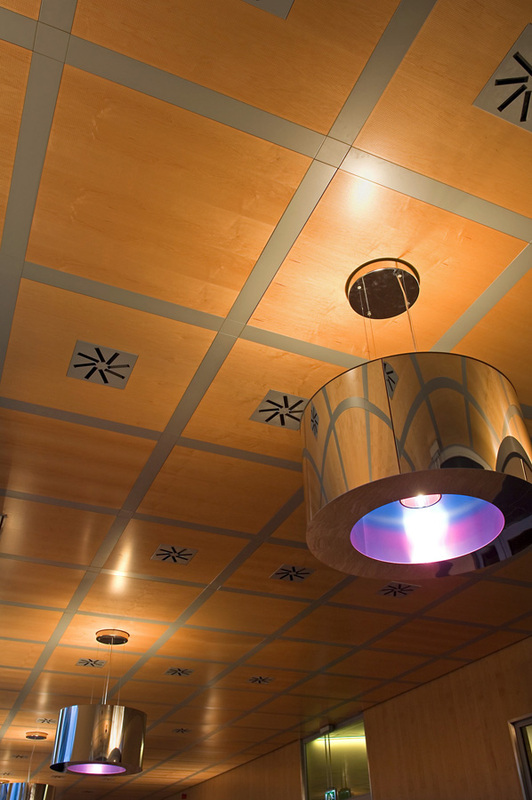 TOPLINE is a beautiful, sophisticated interior finish with excellent acoustic properties. 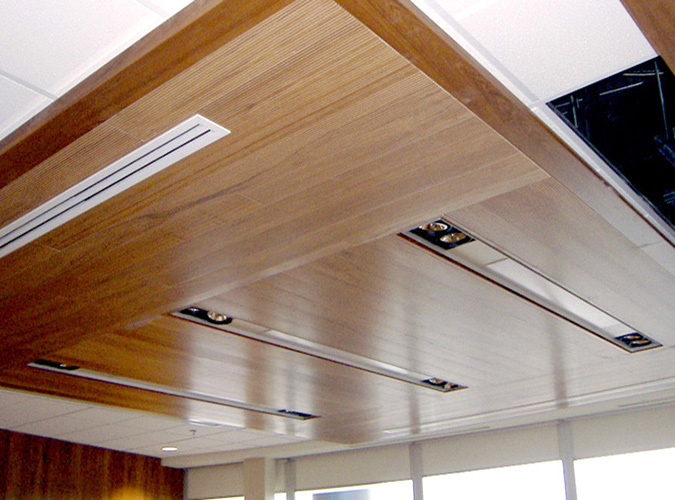 TOPLINE Panels are finished with a genuine wood veneer (over 40 in stock veneers to choose from), then grooved on the surface to create a linear slatted look. 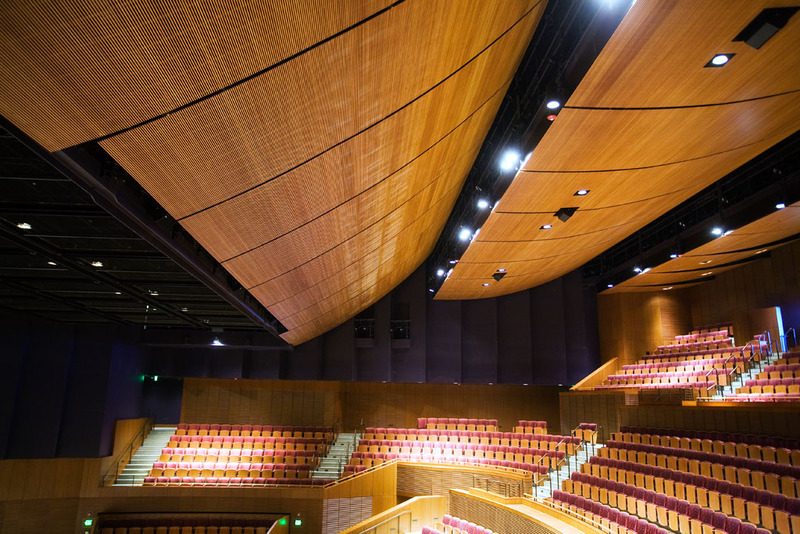 Inside the grooves, perforations are made to allow for the absorption of sound energy. 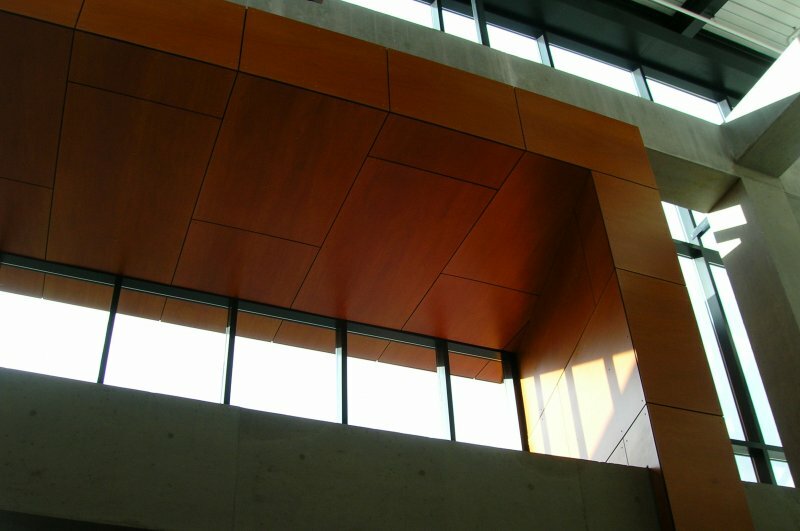 Panels are delivered to site fully finished and ready to install. 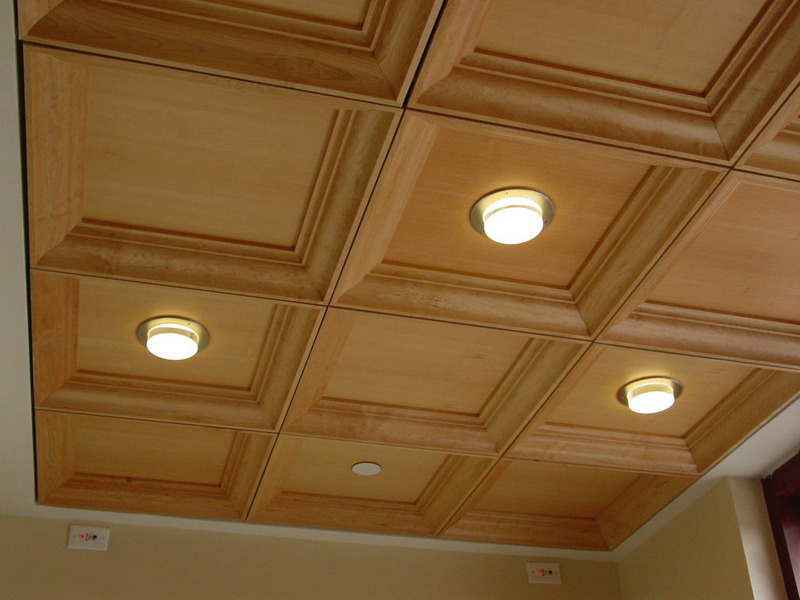 TOPLINE types are named for the execution pattern they represent. 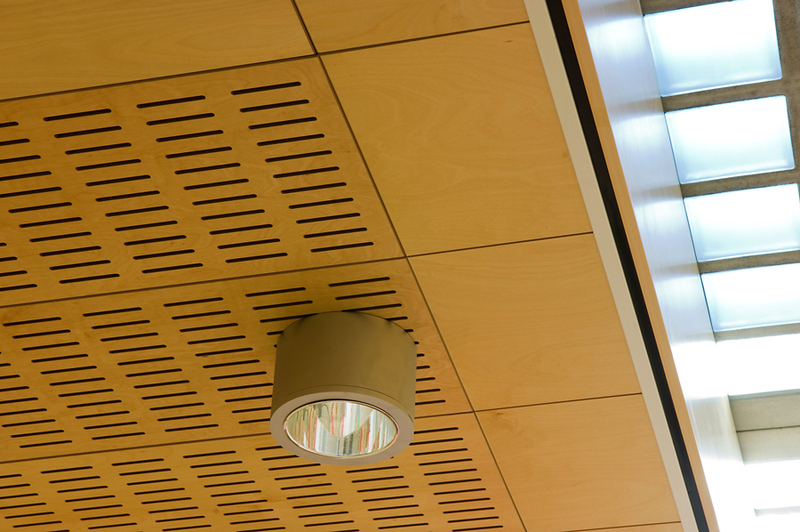 For example, TOPLINE 6/2 represents 6 mm slat and a 2 mm groove pattern repeated across the face of the panel. 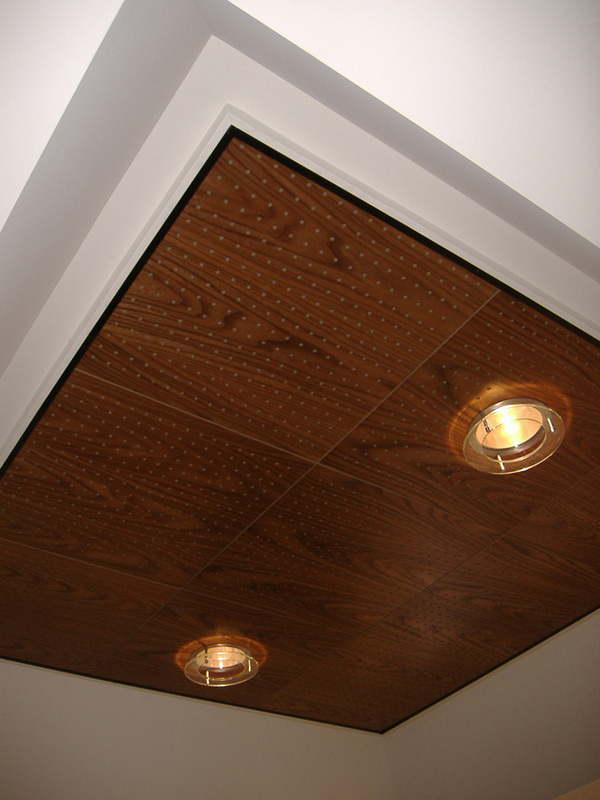 The pattern is continued between adjoining panels through a seamless tongue and groove connection. 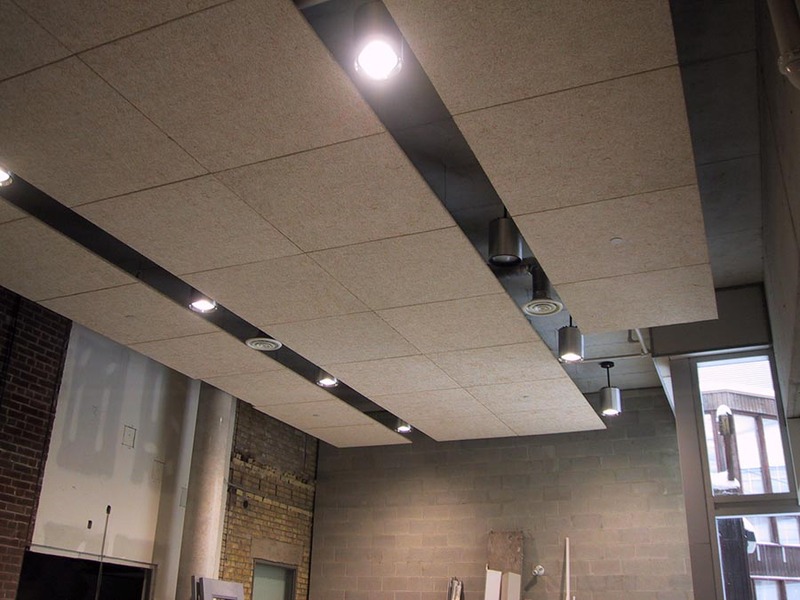 With several different executions to choose from, TOPLINE is sure to meet your design and acoustic requirements -NRC as high 0.95 From the EOMAC website. 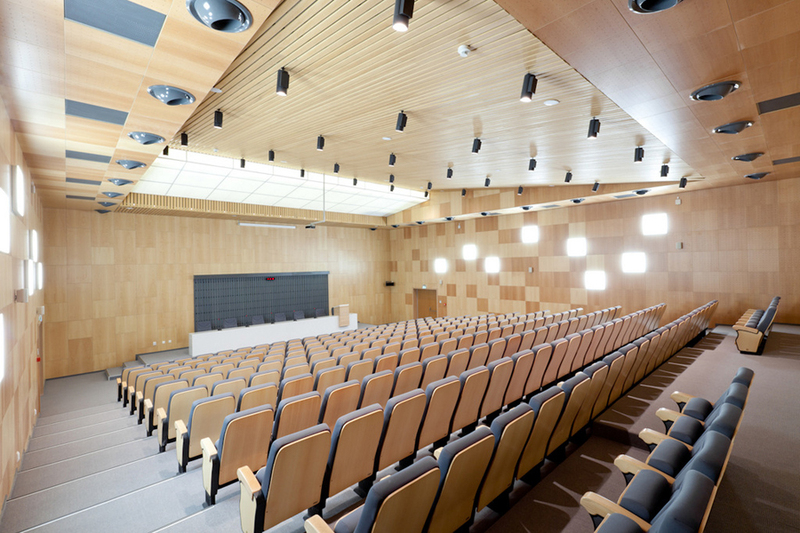 LAMBRI LAWAPAN Wood Veneered Acoustic Wall and Ceiling Panels are manufactured to standard or custom sizes, to suit every unique project. 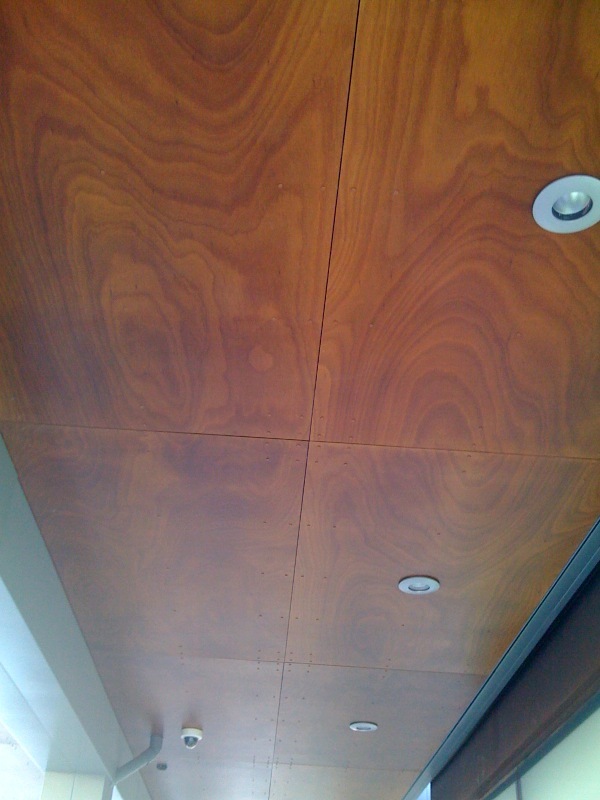 Panels are fully finished in factory and arrive to site ready to install. 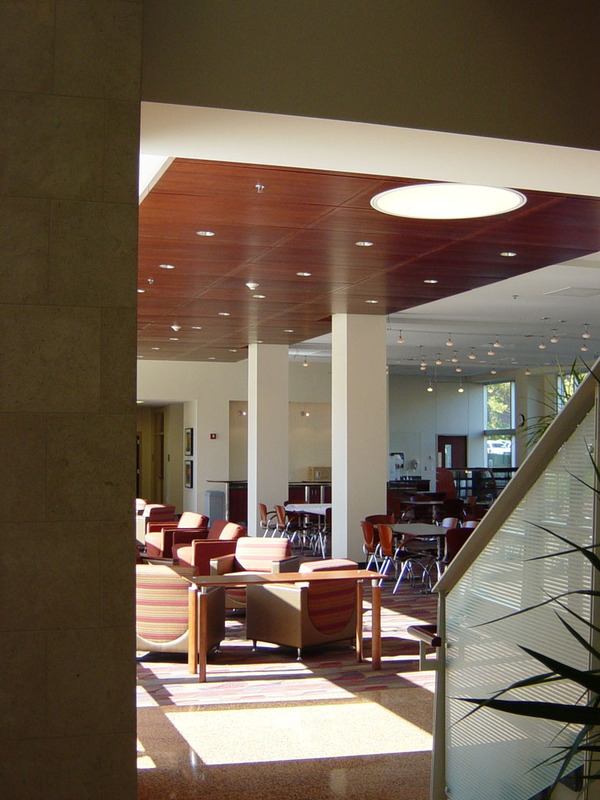 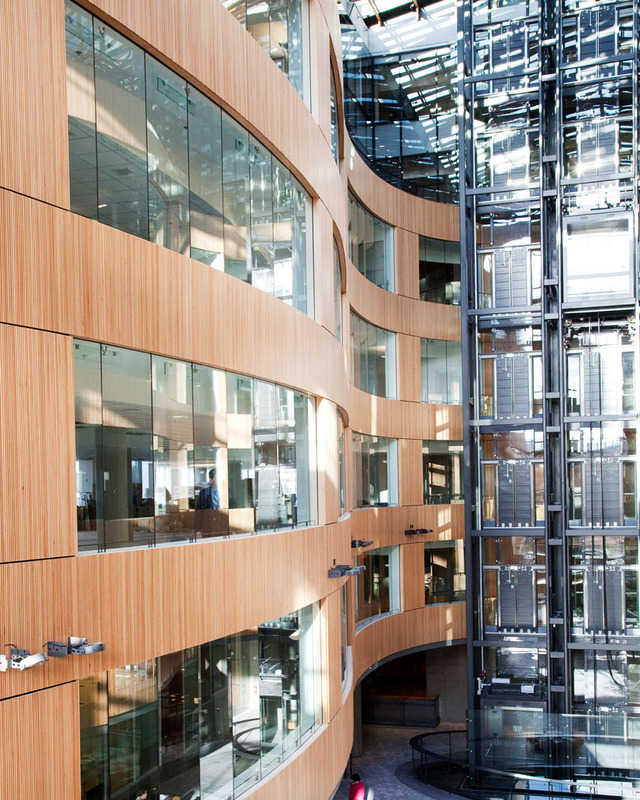 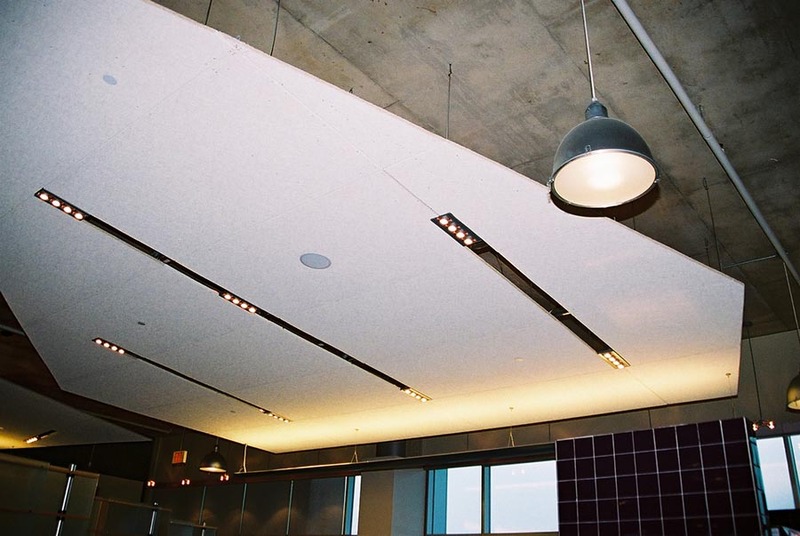 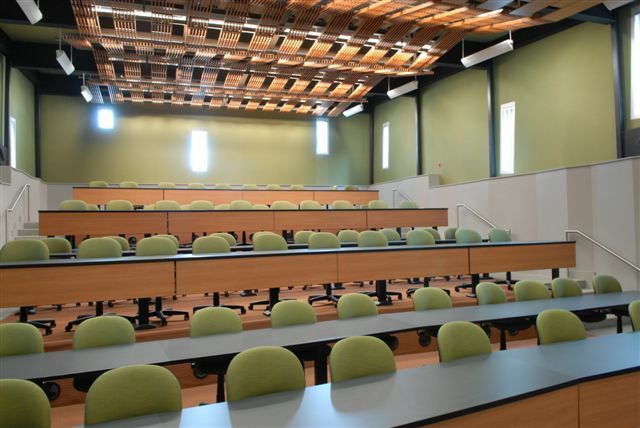 LAWAPAN WALL & CEILING achieve acoustic absorption through standard or custom perforations – either acoustics through round perforation or acoustics through slots. 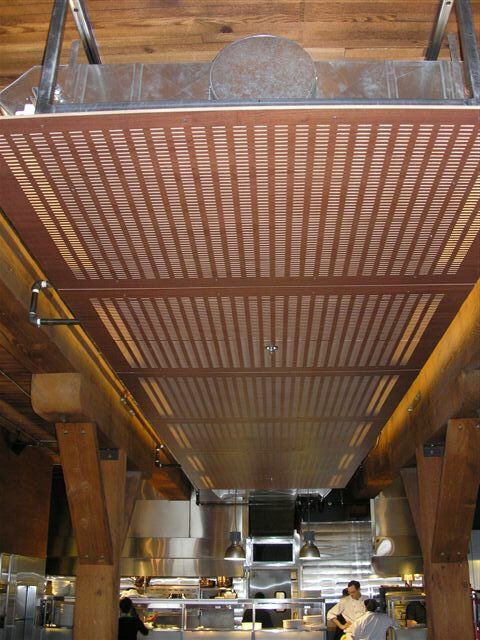 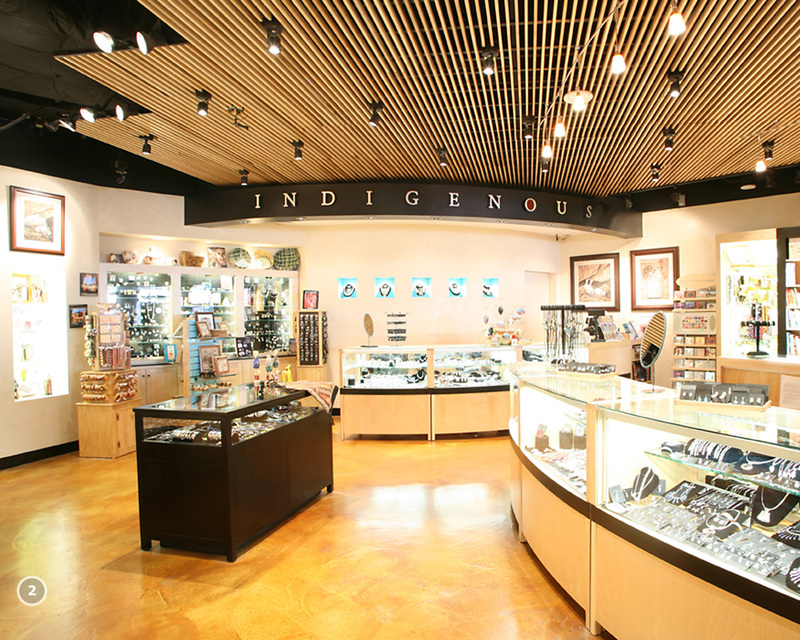 Specialty perforations are also available, including micro-perforations, square perforations, and mosaic patterns. From the Lambri website.